NO CDD FEE!! Located in a cul-de-sac on a large peaceful preserve lot. 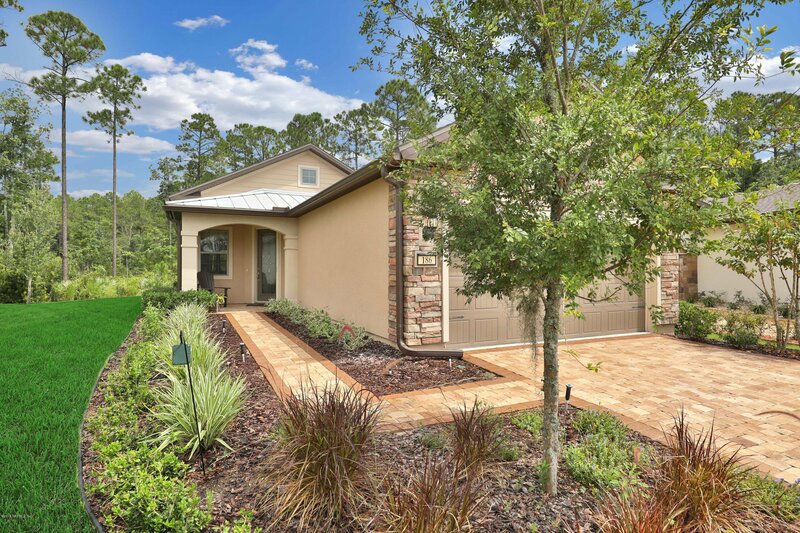 Enjoy this beautiful Steel Creek Model home in the active adult 55+ Del Webb community in Ponte Vedra at Nocatee. Features: Cozy floor plan w/ lots of natural light, screened lanai, Sunroom for extra living area, crown molding, SS appliances, granite tops, 4ft garage extension w/ epoxy floor, garage door screen, finished garage, water softener, wood grain laminate floors, custom master closet, rounded corners, 8' Cottage style doors, 42'' white cabinets, Lazy-Susan in pantry. Just 10 min from Beach and in GOLF CART friendly Nocatee. Owners enjoy the 37,000 SF Anastasia Club w/outdoor & large ballroom for events, PLUS access to Nocatee's Splash and Spray Waterparks. LIVE LIFE TO THE FULLEST in this Preserve home! Listing courtesy of WATSON REALTY CORP. Selling Office: 904 FINE HOMES.